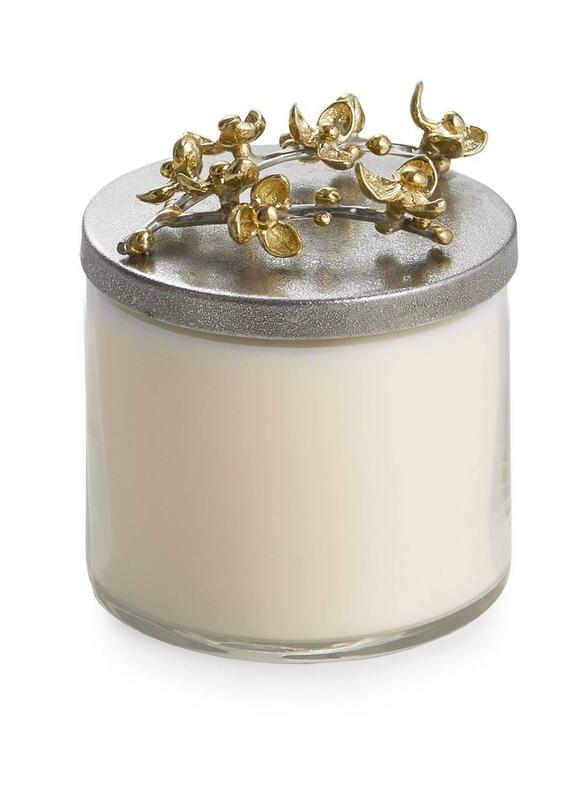 Michael Aram Home Fragrances are inspired by the mood and spirit of the sculptural motifs the Michael Aram Collection is known for. The aromas are sophisticated and complex yet subtle and universal. The vessels are a reflection of our commitment to craftsmanship. The Bittersweet Candle is sharp yet subtle, blended with tangy Goji Berry, woody Bittersweet Vine and velvety hints of Dark Plum. Vibrant notes of spicy Blood Orange are balanced by warm, earthy blends of Sandalwood, tied together with a sensual core of green musk.